What is Limescale and How Does it Affect My Water Supply? Many people here in Arizona have suffered from the consequences of limescale. While it occurs in water supplies across the country, there are some areas around here where it is even more common. Limescale is an off-white, chalky, hard deposit that can be found in the hot water pipes, in hot water boilers, hot water heaters, and in kettles. 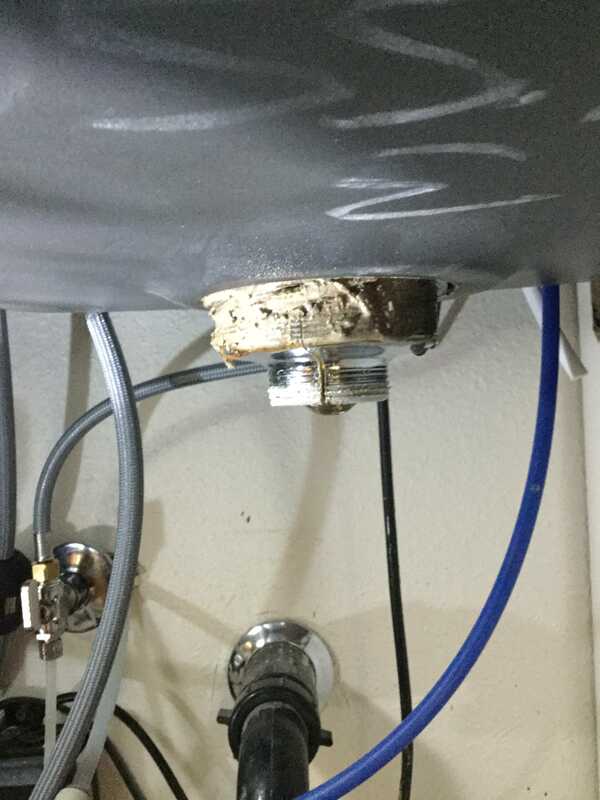 It is sometimes found as a similar deposit inside old pipes and on other surfaces where there has been an evaporation of what is called “hard water.” It is a major plumbing problem that thousands of people must face every year. We often say that limescale is caused by hard water. Hard water contains high concentrations of dissolved minerals, such as magnesium and calcium. When the water evaporates, it leaves behind deposits of calcium carbonate, which we call limescale. Deposits of limescale can build up on the different surfaces that the hard water touches and accumulates rather rapidly. The unsightly limescale deposits are often difficult to remove. There are many places where limescale can be found, both very visible areas and some spots that are hidden away. It is inside water pipes, in sinks and toilets, in the boiler heating elements, and anywhere else where hard water has been then evaporated. Where hard water has evaporated, you will find limescale. Where are Common Locations for Limescale? Why is Limescale Considered a Problem? You don’t want to find those white chalky flakes in your coffee or tea. Your tea kettle and coffee maker suffer immensely from the deposits of limescale and will require regular replacement. Sinks, toilets, and faucets can be covered with a thick, unsightly layer of the off-white deposit. Sometimes thorough cleanings aren’t enough to remove the build-up and you will have to replace your faucet, sink, toilet, and other fixtures. Limescale will harden around the components of your dishwasher and washing machine. Your appliances will lose energy efficiency and it will cause more damage to the environment. Limescale covered heating elements are not going to be as near as efficient as they should so you will see higher heating bills and damaged appliances. When heated or left to stand, hard water becomes an even bigger problem. With the evaporation of hard water, minerals are left behind to solidify and form limescale. Even domestic plumbing systems might suffer from limescale build-ups. When limescale deposits in central heating pipes and accumulates, restricted water flow results and even a complete blockage might occur. How Can Limescale Be Prevented? Now you have heard all the bad things about limescale, you are probably wondering is there a way that you can prevent these problems and avoid the damaging results altogether. A water purification system can effectively prevent limescale. A quality water purification system can soften your water supply, taking out the minerals that cause unsightly limescale. Many homes in Arizona benefit from having a water purification system installed. That puts all the problems caused by limescale to rest. If you would like to learn how to get rid of limescale, improve your water supply and save yourself a lot of money and avoid the headaches caused by the damages resulting from limescale, Just Contact Us for 24/7 service and professional certified plumbers who are happy to help. Is Limescale Harmful in Drinking Water?